White spots on teeth is a common type of enamel discoloration. Certain areas of the tooth appear to be a bright, opaque, white color that stands out from the rest. While your initial thought may be that white teeth look good, this is not the case here. White spots make teeth appear discolored and possibly damaged. There are several reasons why someone may have white spots on their teeth. In fact, it’s something that we see regularly. A sign of a nutrient deficiency or mineral imbalance. Some children have a disease called Fluorosis, meaning that their bones absorb too much fluoride or the child consumed an excessive amount of fluoride at a young age. A side-effect of celiac disease. People who can’t consume gluten may not be able to absorb all the necessary nutrients in the foods that they eat. Taking certain medications can cause white spots on teeth, as well as other tooth discolorations. Smoking while pregnant can cause enamel hypoplasia, a condition that causes white spots on teeth, among other dental issues. Consuming a lot of sugary foods causes tooth enamel to break down, resulting in decalcified (weakened) teeth with white spots. Wearing braces is one of the most common causes of white spots, due to plaque accumulation around brackets, wires, and orthodontic appliances. Traditionally there were only two white spots treatment options. The first was to use fluoride products to remineralize the teeth. This method often fell short by not showing significant results, if any at all. 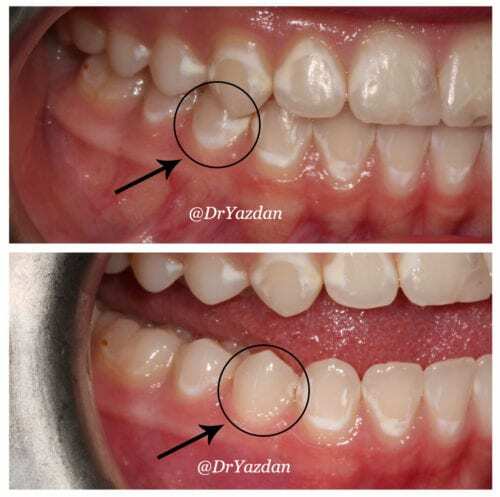 The second white spots treatment option is to treat the area like a cavity. That is, cleaning the area out and filling it with a tooth-colored composite material. Over time though, these fillings break down and need to be replaced. Veneers have also been used in the past as a white spot treatment option. But, this solution is expensive and not recommended for younger patients. Yet, children and teenagers are the ones who commonly suffer from white spots on teeth. 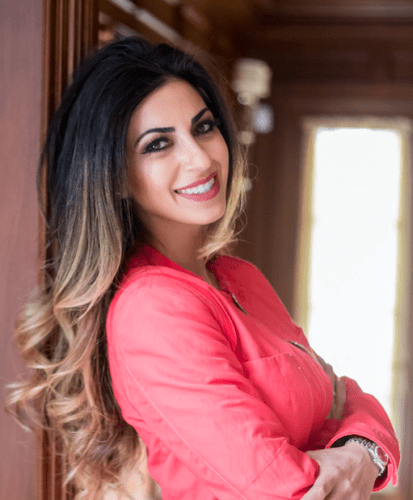 In some cases, our Newport Beach dentist may even choose not to do anything about your white spots, but instead keep an eye on them in case they turn into cavities later on. Dated options are no longer the only solutions for dental white spot removal in Newport Beach. Thanks to a revolutionary treatment, we can now remove white spots without numbing, drilling, or filling. Rather than using methods that don’t work, or require irreversible dental treatments, we can take a more conservative route…all while eliminating white spots and preserving healthy tooth structure. During this new procedure, the white spot (lesion) is etched with a special gel that opens the small pores across your tooth’s surface. The white spot is then dried and a special medication is applied to the lesion. The formula penetrates the tooth’s pores and stops the progression of white spots. Any excess material is removed and the tooth is cured under a special light. Treatment time is quick, taking about only 15 minutes per tooth. The results are a pleasant, and even-looking tooth surface. The best form of dental care is always prevention. To prevent white spots on teeth, you must practice good oral hygiene each day, as well as a healthy lifestyle. Brush and floss your teeth at least twice per day. If wearing braces, brush after every meal. Make sure you thoroughly clean around the brackets and wires. You’ll also want to avoid consuming a lot of sugars, like what’s found in sodas and energy drinks. Water is the best drink of choice. If you’re pregnant, don’t smoke, as it puts your child at risk for dental issues later on. Supervise your child’s brushing routine. Don’t allow them to use an excessive amount of toothpaste. For toddlers, an amount of toothpaste the size of a grain of rice is all that’s needed. For older children, a pea sized amount works great.